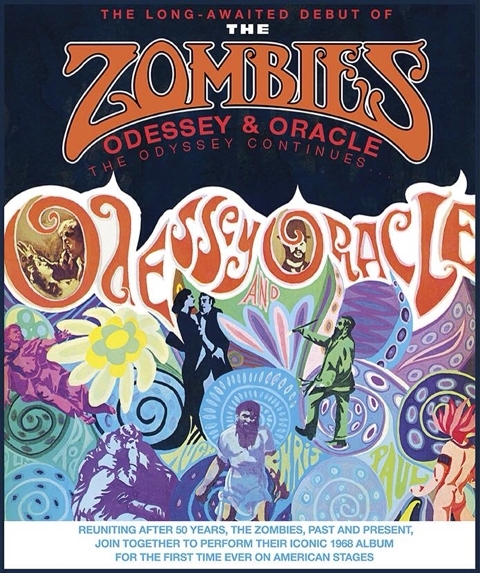 British psychedelic/baroque/sunshine pop legends The Zombies performed their essential 1968 album Odessey & Oracle for its 40th anniversary in London (and turned it into a DVD), but they've actually never performed it in full in the US. That will finally change this fall, and making it even better, Colin Blunstone and Rod Argent are reuniting with surviving original members Chris White and Hugh Grundy for the shows. It'll be that lineup's first US tour together in five decades. The shows will also include the band's current lineup (Blunstone and Argent with Tom Toomey, Jim Rodford and Steve Rodford) playing music from their new album, Still Got That Hunger, which is set to come out this September. So far the band have announced that they're playing September 30 in Dallas and October 9 in NYC at The Concert Hall at New York Society for Ethical Culture (2 West 64th St) with more dates TBA. Tickets for NYC go on sale Friday (7/24) at 10 AM. Stay tuned for more info.